Welcome to Day #1 of Chocolate and Halloween wEEK. 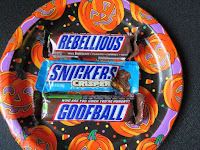 Halloween is a big chocolate holiday in the U.S.; and two of the largest chocolate suppliers of Halloween chocolate treats have been Mars Chocolate (Hackettstown, NJ) and The Hershey Company (Hershey, PA)—corporations that continue to dominate the market with brands like Snickers and Reese's, respectively. 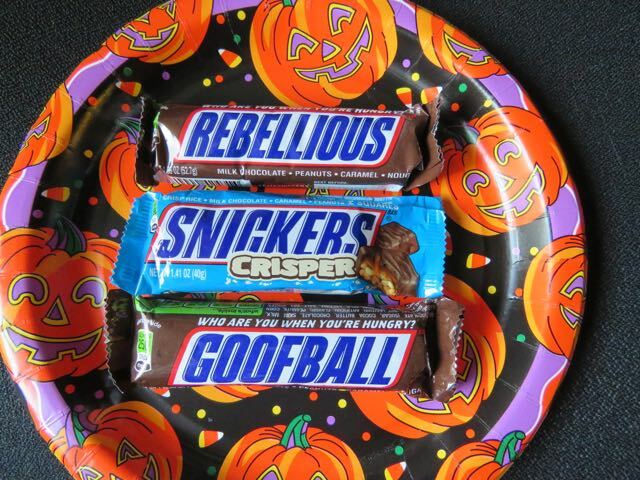 And just when you think you've tried every variation on a Snickers bar or a Reese's chocolate and peanut butter offering, new ones materialize on store shelves. 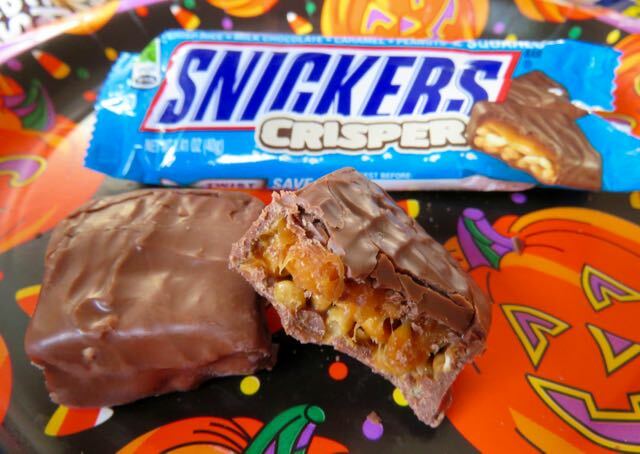 Today's twist on the traditional Snickers bar (called the Crisper bar) contained puffed rice, caramel peanuts and chocolate. The rice added some crispy crunchy texture and bulk to the bar, and it was well balanced and integrated. 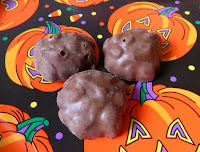 Today's chocolate Snack Bites treat from Hershey's consisted of "Snackable Milk Chocolate and Almond Clusters." These roundish, chocolate bites, contained embedded pieces of toasted almond. 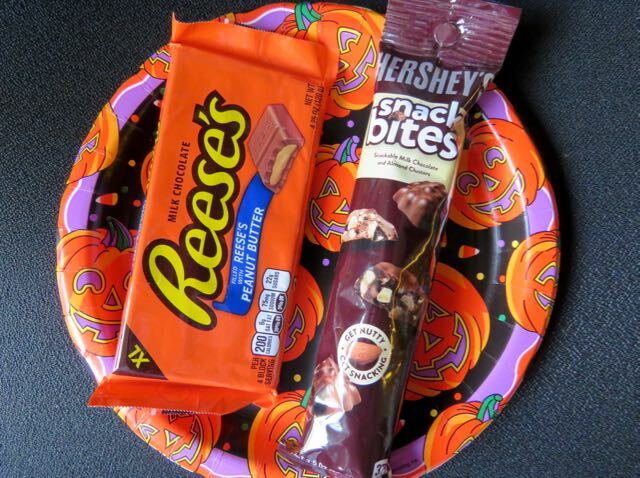 These packages were a bit larger than the average snack-sized Halloween bar; but if you want to upsize, there are plenty of traditional treats like this available.